Nothing beats a warm bowl of Creamy Potato Soup on a cold winter’s day. My family craves it often and I am always looking for new recipes or versions to try. Steakhouse restaurant versions are probably my favorite of all! They always make them so delicious and I am always trying to recreate that experience at home. That’s why we love the Idahoan® Premium Steakhouse® Potato Soups! Now it takes just a few minutes to prepare restaurant-quality potato soup. 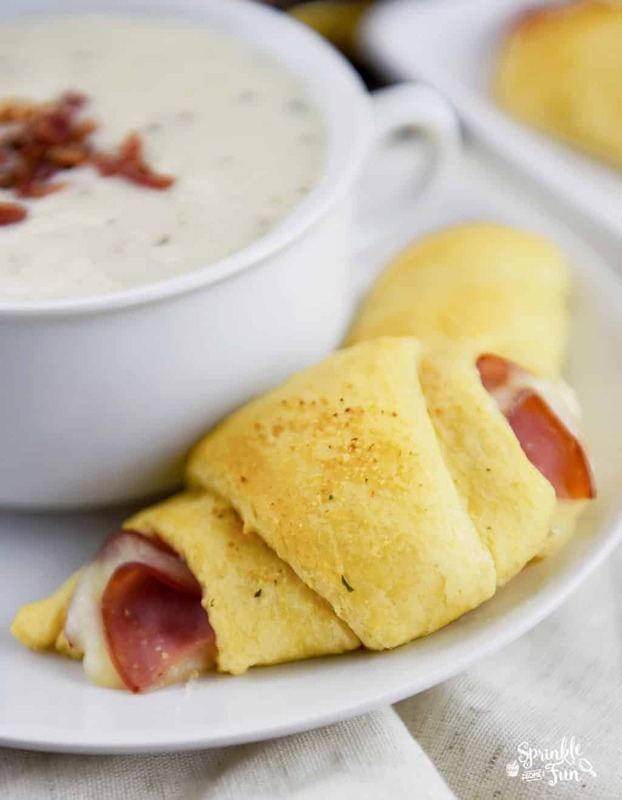 I like to pair it up with sides like these Ham and Cheese Crescent Rolls which are amazing!!! They are always a welcome side to our meals or parties! 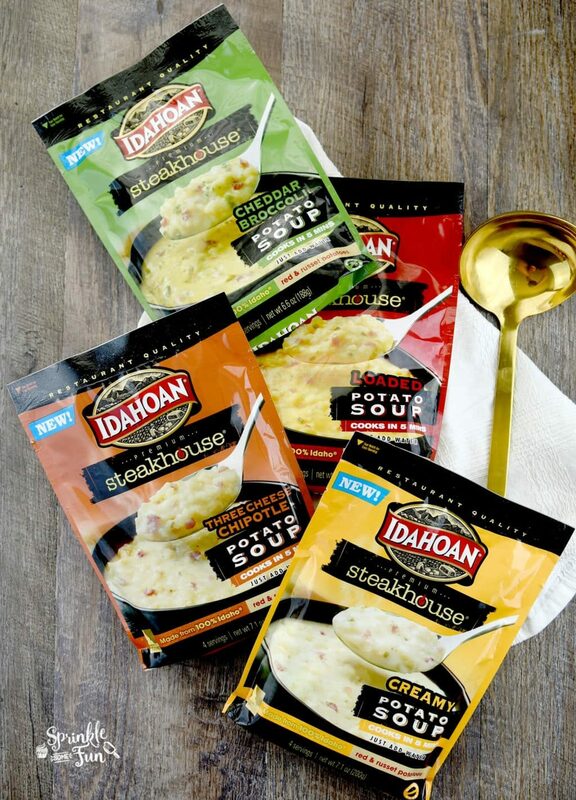 Idahoan® Premium Steakhouse® Potato Soups are available in four delicious flavor varieties: Creamy Potato, Loaded Potato, Cheddar Broccoli and Three Cheese Chipotle. We love every flavor and I like to get one of each! 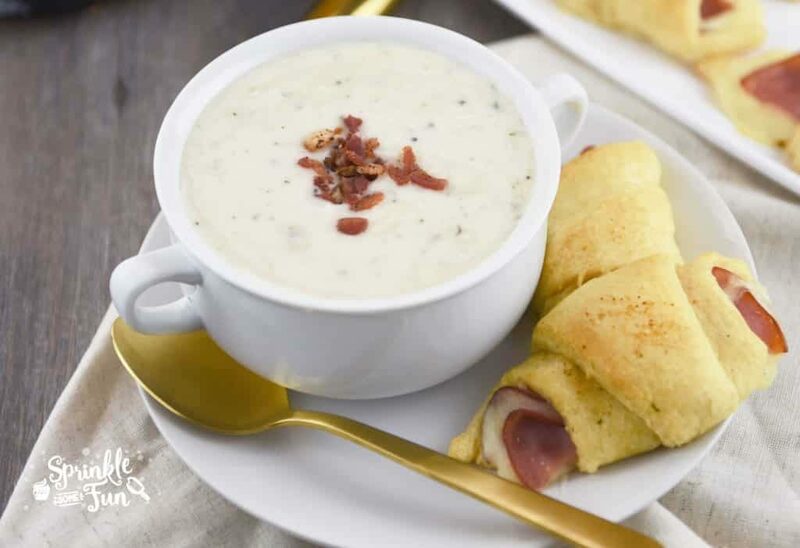 Idahoan® Premium Steakhouse® Potato Soups bring the steakhouse experience to your own home in minutes. 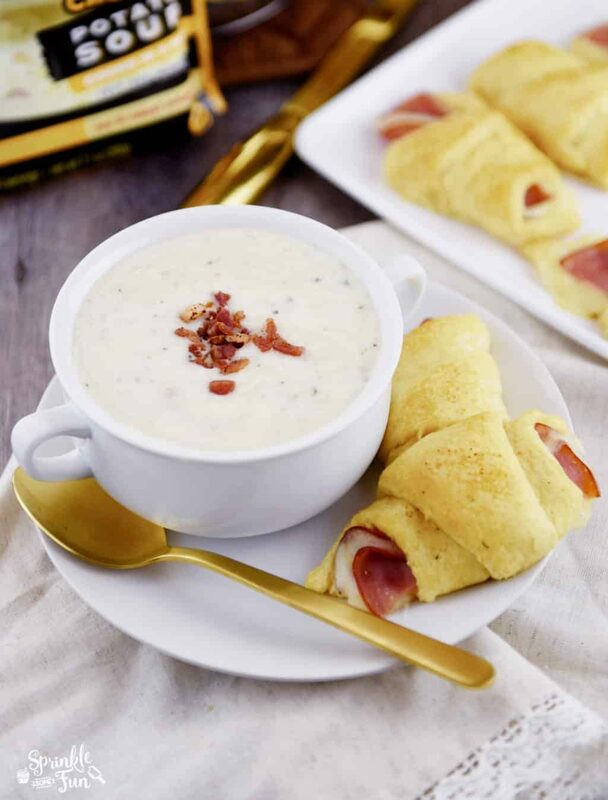 Unlike other dry soups that take more than fifteen minutes to prepare by stove, with Idahoan® Premium Steakhouse® Potato Soups, you can conveniently just add water and prepare restaurant-quality soup in your kitchen within five minutes. How is that possible with a soup that only takes 5 minutes to prepare? I don’t know, but I love it! I love meals like these. 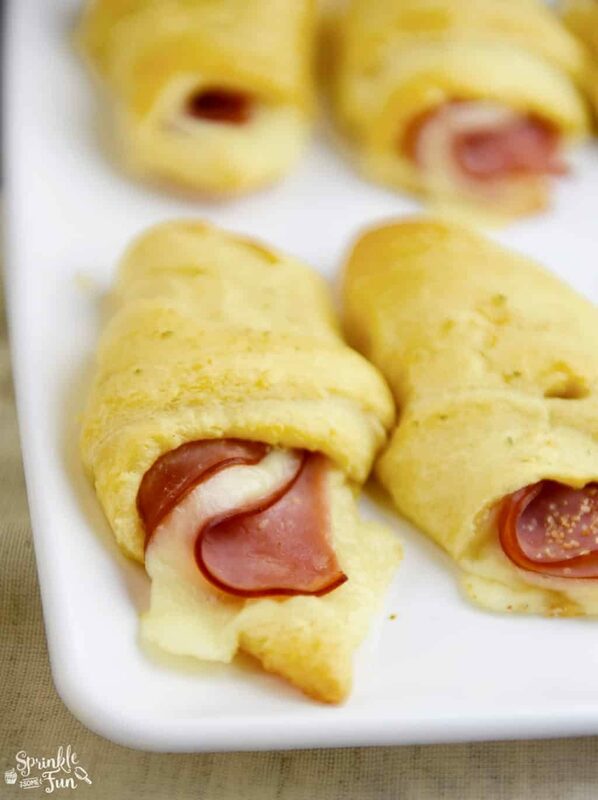 The Ham and Cheese Crescent Rolls are also very easy to prepare so you’ll have dinner ready in as little as 15 minutes! It’s always good to have easy meals on hand to make. 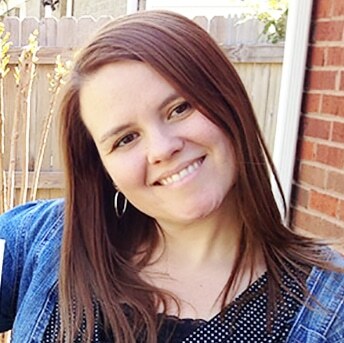 Be sure to pick up some Idahoan® Premium Steakhouse® Potato Soups next time you go grocery shopping! Roll out crescent roll dough onto a cutting board. Stack one slice of ham with a slice of provolone on top and then another slice of ham on top of that and cut the stack in the middle. 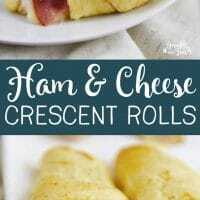 Use one half for each crescent roll and roll the ham/ cheese inside the crescent roll. Bake according to the crescent roll package directions. Enjoy! I MAKE THESE OFTEN SOMETIMES WITH SWISS CHEESE AND SOMETIMES WITH PEPPER JACK CHEESE.